Professor Daniel Shechtman of the Technion-Israel Institute of Technology has been designated the winner of the Nobel Prize in Chemistry for 2011 for his discovery of quasicrystals – a new form of matter that has become a major subject field for physicists, materials scientists, mathematicians, and crystallographers. Shechtman, who was born in Tel Aviv in 1941, had previously been awarded the Israel Prize in Physics in 1998 and the Wolf Prize in Physics a year later. He discovered the Icosahedral Phase of crystals aluminum transition metal alloys in 1982. Shechtman is the tenth Israeli to win the Nobel Prize. The most recent awardee was Prof. Ada Yonath of the Weizmann Institute who won the 2009 Nobel Prize in Chemistry for her work on the ribosome. The World Economic Forum (WEF) in its annual survey of 142 countries rated Israel as the 22nd most competitive country in the world, 2 spots above its ranking in 2010. Unemployment in Israel dropped to 5.5% a 28-year low, in the second quarter of 2011, from 6% in the first quarter. Unemployment among women was even lower, at 5.4%, continuing a trend that began in mid-2009. In the second quarter of 2010, the average unemployment rate was 6.7%. According to a recent forecast by the Bank of Israel the average unemployment rate for all of 2011 will be around 5.8%. In 2010, the average unemployment rate was 6.7%. Israel’s total spending on civilian research and development totaled 35.8 billion shekels (about $10 billion) in 2010 and made up 4.4% of the gross domestic product. The country’s spending on civilian R&D rose by 1.2% in 2010, following a 3.4% drop in 2009 when the global financial crisis weighed on investments. R&D had increased 3.8% in 2008. Standard & Poor’s upgraded Israel’s long-term foreign-currency sovereign rating from A to A+ with a “Stable” outlook, citing Israel’s “prosperous and resilient economy, strong institutions, ongoing fiscal consolidation, and robust external performance. The rating agency also reaffirmed Israel’s local currency rating at AA-. Israel’s thriving Life Sciences industry is world renowned for its groundbreaking innovations, ingenuity and creativity. Israel is home to over 900 Life Science companies, with 50-60 new companies being formed each year. Multinationals including J&J, Perrigo, GE Healthcare and Phillips Medical, together with local companies such as Teva, Given Imaging, Insightec, Medinol, Disc-o-tech, Brainstorm and others have been at the global forefront in the development and marketing of life-changing medical breakthroughs and valuable innovations. 1st in the world for Medical Device patents per capita and 4th in Bio-Pharma (USPTO). 1st in availability of Engineers and Scientists worldwide (IMD 2007). Pioneering Stem Cell research & therapeutics: 1st to demonstrate in-vitro differentiation of humanembryonic Stem Cells (hESC) and generation of human embryonic bodies. 1st to genetically modify hESCs, including a line that represented a model for human disease (Lesch Nyhan disease). 1st clinical trials of cell therapy treatments. Israel is 2nd in Europe in the number per capita of private biotech companies with products in the pipeline. Israel is 6th in the world in the number of scientific publications per capita. Aesthetics and Dermatology, Cardio Vascular and Peripheral Vascular, Diagnostics, Disposables and Implantable, E.M.S, General Health, General Surgery, Infection Control and Infectious diseases, Industrial OEM, Intensive care, Laboratory equipment, Medical and hospital equipment, Monitoring, Neurology and Degenerative diseases, Rehabilitation, Respiratory and Pulmonary, Robotics, Telemedicine and Healthcare IT, Urology, Wound and Pain management. The Israeli Embassy to South Africa would like to invite you to have pre-schedule meetings with the Israeli companies with solutions and devices of your company’s interests. Please, Have a look at the attached catalogue and tell us who would you like to meet with. 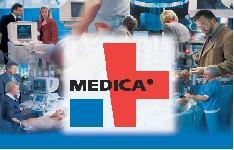 In order to pre-schedule meetings during Medica, please, fill in your company details and contact details of the personnel who will show up for the meeting along with suggested time slots, each time slot (meeting) is 15-30 minutes. We would like to introduce you the Israeli new Media sector. Israel has more than 700 new media companies whose offerings span the range of new media possibilities. These companies are active in broadcast, digital and cable TV, IPTV, OTT and satellite services, strong in content creation, delivery and management and have a potent presence in gaming. Israeli companies are also dynamic players in internet applications and services,, online advertising, entertainment and video, search and social networking. At IBC Amsterdam we offer South African companies an opportunity to have pre-scheduled one on one meetings with Israeli companies of interest. 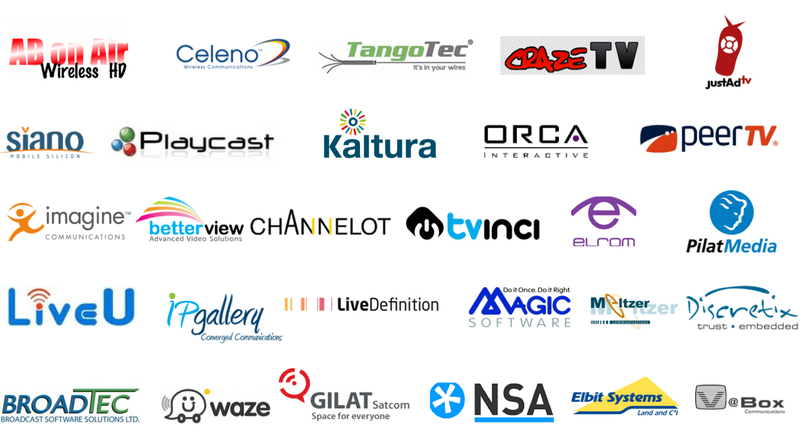 This year, 28 Israeli companies will showcase their advanced technologies ranging from digital, IPTV and OTT solutions, satellite services, content distribution and discovery as well as digital rights management solutions to name but a few. The main players in the South African media industry have already granted their visit to the Israeli pavilion and secured meetings with the Israeli technology vendors. What about you? Attached is a profile of the technological offerings that will be on display at our pavilion at IBC. Please, feel free to view the companies and share with us the companies that you would be interested in meeting. Israel is a micro-cosmos of the global new-media industry. Our pavilion in IBC, is a micro-cosmos of the entire event. Our mission is to give you the added value for your business and make your trip to Amsterdam as efficient as possible by helping you meeting all of the companies of your interest in the same venue and in the shortest time. The Hadera seawater reverse osmosis (SWRO) desalination plant in Israel is one of the largest of its kind in the world ● Israel reclaims almost 75% of its reused effluents in agriculture ● Israel’s total water consumption has remained nearly the same since 1964, in spite of a growing population and agriculture. This feat has been enabled through improved efficiency and technological innovation ● By 2013, desalination plants in Israel will supply more than 500 million m3 of water per year, supplying 35% of the country’s fresh water needs. Water is an extremely precious commodity in Israel. The landscape there provides the perfect environment for researching and developing water technologies in ‘real-world’ conditions. In that regard there are so many similarities between Israel and South Africa when it comes to water and the obvious need for cooperation between our countries to meet these challenges. Watec Israel 2011 is one of the most important water related conferences globally. The Embassy of Israel, in conjunction with the Israel Export Institute, has put together 2 programmes that showcase the Israeli experience alongside with the newest innovation in two areas: municipal and industrial. We would honoured to have Your company at the trip to Israel (13-16 November). The process of promoting generation of renewable energy in South Africa takes a long time. This is not a surprise, that was the case with many countries, as well as Israel. Recently, It was published that the regulator is considering to abandon the Feed-in-Tariff process which puts the tariffs in advance and is reviewing the possibility to go for a bidding process where the winner would be the bidder that will offer the lowest price. I think that the South African misses two important points. It will leave the game for the biggest players only and will lose an opportunity to create jobs around the evolving renewable energy market, or at least, will create much less jobs. Second, the bidding process has proved itself an efficient and at least in Israel failed to meet time targets and is to be abandoned. Israel dealt with a similar debate, whether to adopt the Feed-in-Tariff method or the bidding method to promote the generation of renewable energy into the grid. While the electricity Authority (the equivalent body in Israel for NERSA) supported the REFIT process and the Ministry of National Infrastructures (the equivalent to the Department of Energy) and the Ministry of Finance preferred the Bidding process. Israel decided to publish REFIT in 2008, while issuing few tenders in the bidding process. While the bidding based projects are not making big progress the REFIT based projects generate 100 MW of small systems today, an approved accumulated capacity of 150 MW that will be implemented soon. Quota of 300 MW for medium size plants was published, projects with the accumulated capacity of 200MW where given licenses and other are awaiting approval – out of 1.3 GW of proposals. Tenders in the bidding process published in 2008 and no one was awarded the contract yet. There is only one participant in each one of in two tenders for CSP plants (100MW each). There is also a tender for a PV plant (30MW) but bidders didn’t submit their final proposals yet. Promotion of entrepreneurship and job creation: The Bidding process limits the game to few big players and excludes the small ones. The REFIT process allows to small and medium companies to participate. Israel developed an entire new renewable energy industry with close to a 100 active companies. Efficiency: In bidding process the government becomes very involved and often intervenes in engineering and technological issues that is not capable to deal with. That’s creates delays and complications in the process. Meeting the targets: Publishing tenders takes a lot of time, often much more than expected. That can result in not meeting the schedule targets. There is also a fear that companies that will lose the tenders will appeal to court and create more delays. Simple rules of the game: the REFIT process puts together very simple rules that make it more transparent and easy to deal with. The disadvantage of the REFIT process is that prices set at the beginning of the process do not reflect reduction in costs for the developers in the future. The solution is to publish quotas and a gradually decreasing REFIT. All countries in Europe have decided to adopt the REFIT method. Israel found it as the most efficient way to promote renewable energy. I hope that South Africa will take the same way. Dr. Ilan Suliman, former Vice chairman of the Israeli Electricity Authority has helped in putting these points together. With 48000 attendees and over 1300 exhibitors, IBC Amsterdam is the leading global new media trade show that will take palce from the 9th to the 13th of September this year. The event is home to cutting edge technologies in the delivery of broadcasting media, entertainment as well as content creation and management. The event is a must for all professionals working within the media, entertainment and broadcasting fields as one can easily find the latest developments in broadcasting, mobile, digital signage, IPTV as well as research and development. The benefits of attending this event are great as it enables companies to raise their profiles by interacting with innovators and senior executives which could open up future distribution channels. The event also facilitates debates on issues such as the challenges to the industry and the impact of IPTV which would provide insight for future strategies of companies. The event itself, spearheads the industry’s strategic agenda. JustAd.TV is focused on non-linear TV advertising. The solution enables content owners and pay-TV operators to monetize TV content by offering a bouquet of viewer-friendly engaging formats custom-made for the non-linear TV experience. This year, the Israeli pavilion at IBC will showcase 30 new media companies. The companies participating will showcase advanced technologies in mediums that include online advertising, multimedia content, broadband wireless solutions, satellite communication, Value Added Services, business analytics as well as content discovery, management and distribution. The technologies that will find at our pavilion include those from large companies such as Orca, Gilat Satcom and Pilat Media but also a number of startups that are characterized by innovation and entrepreneurship, low production costs and a willingness to adapt solutions to a customer’s requirements. To see all the technologies that will be showcased, please view the company profiles at www.israelmediainnovations.com, or look at the Israel Media Innovation Catalogue 2011. As a country that has a long tradition of enterprise innovation, Israeli companies will naturally be at the event. With over 700 new media companies, Israel is highly active in gaming, broadcasting, digital and cable TV, IPTV and satellite services, content creation, delivery and management. The digitally saturated, media savvy culture of early adopters has ensured the creation of sought after solutions for media outlets, operators and content providers. The solutions are sought after not only for their utility but also for their ability to increase revenue while enabling a rich user experience. Tvinci is a pay OTT TV platform for operators, broadcasters and media companies interested in offering users linear content, catch-up TV and VOD on multiple devices. The 2010 show was an Israeli-African success with more than a 100 meetings between Israeli and African companies. The leading and energing players in the African market, such as Multi Choice, Hi TV, Top TV, Altec UEC, found it valuable to meet with the Israeli vendors. We look forward to adding value to your participation at the event. To save you time and effort, we are willing to pre-schedule meetings for you, with our innovative companies. Contact us for more information. We will be at hall 3A15. See you there!